The Facemoji keyboard for Android is getting a new animated AR emoji in its roster — President Donald Trump. While the new feature, unfortunately, doesn’t provide users with the ability to impact global affairs with a single tweet, it does allow users to render themselves in a humourous Trump-like visage. The Trump AR Emoji has the president’s infamous hair, tan and facial features. All those features are on the poop emoji we all know and love. Facemoji uses the front-facing camera of Android smartphones to map your facial expressions onto its AR Emoji. It’s similar to Apple’s Animoji system — if a little less robust. 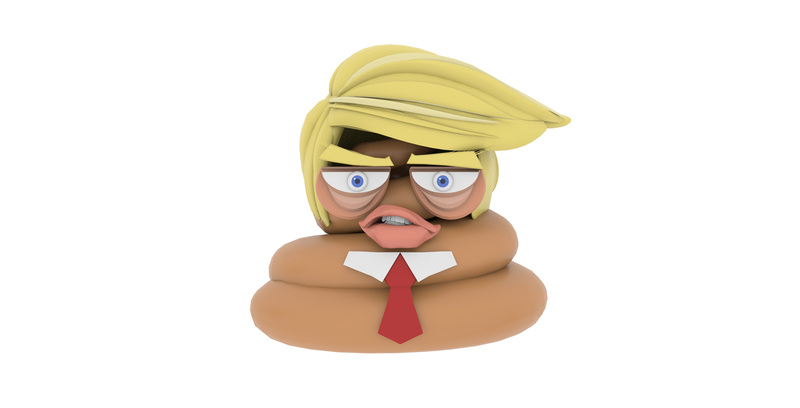 Along with the Trump AR Emoji, Facemoji keyboard offers users other unique face-mapping emojis. Users can take on the appearance of a unicorn, pizza, pineapple and a baby. Furthermore, you can use any of those faces to make custom images or GIFs to share with your friends or on social media. The Facemoji keyboard is available for free through the Google Play store.